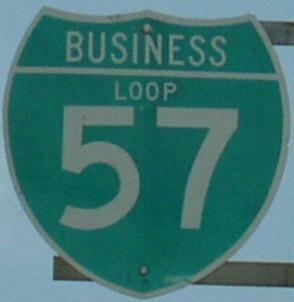 Business Loop Interstate 57 runs into the City of Charleston in Southeastern Missouri. 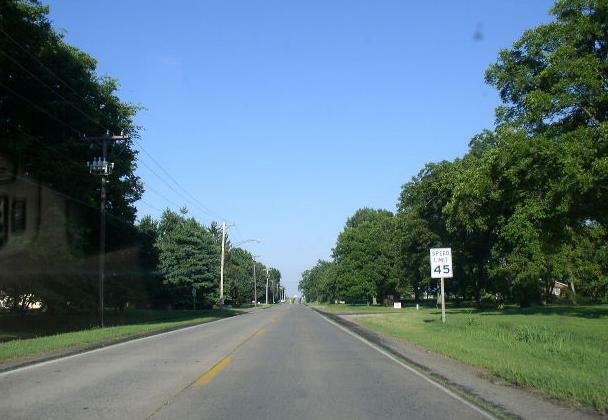 This is the only spur of Interstate 57 in both Missouri and Illinois. 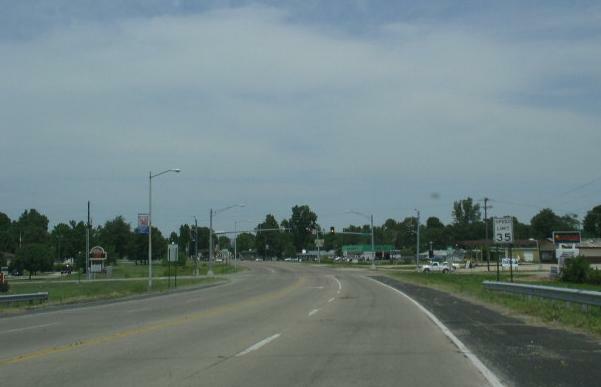 BUSN Loop I-57 passes through the following town in Mississippi County. 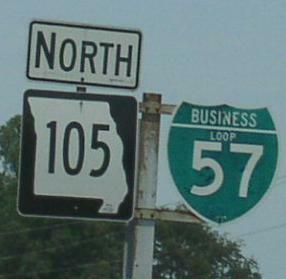 BUSN Loop I-57 is multi-plexed in Mississippi County. Missouri State Route 105, near Charleston. U.S. Rt. 62, at Charleston. 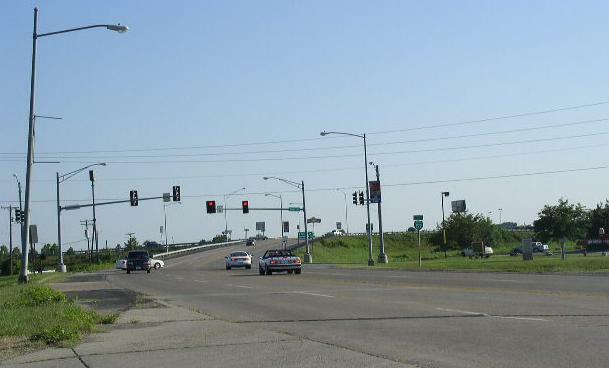 Missouri State Route 77, at Charleston. 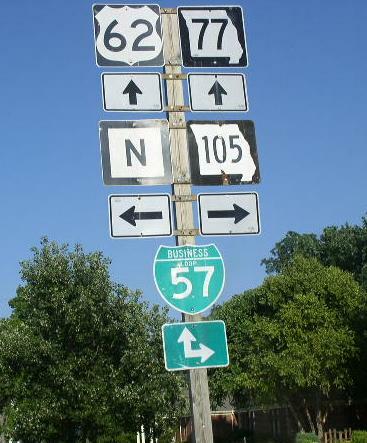 BUSN Loop I-57 intersects the following highways in Mississippi County. U.S. Rt. 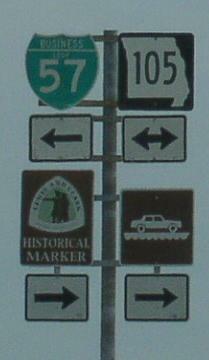 60, near Charleston. Missour Secondary State Route N, at Charleston. 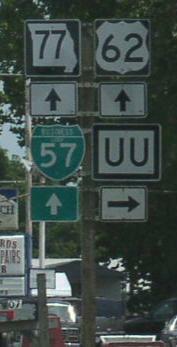 Missouri Secondary State Route UU, at Charleston. 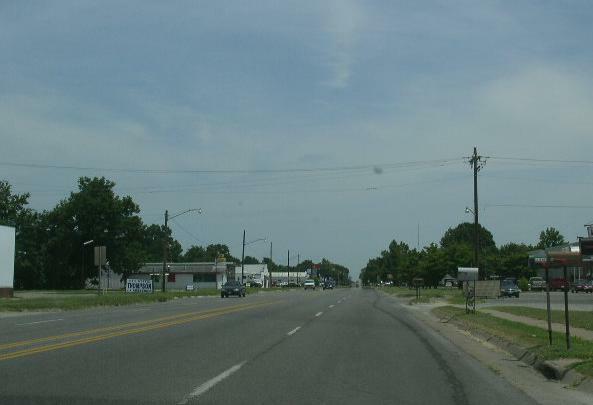 U.S. Rt 60, near Charleston. U.S. Rt. 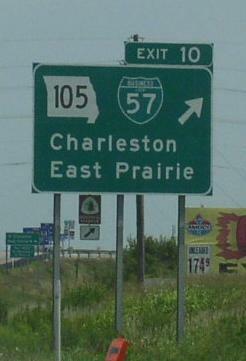 62, near Charleston. 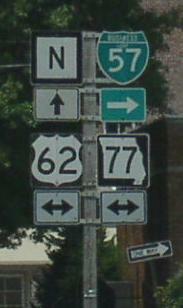 Missouri State Route 77, near Charleston. 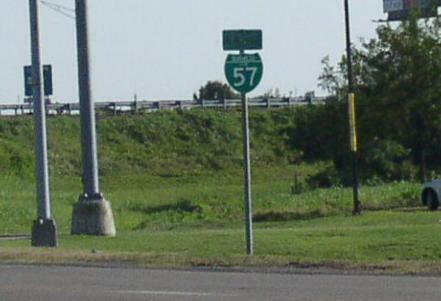 The southern end of BUSN Loop I-57. A BGS on NB I-57/EB U.S. Rt. 60. NB BUSN Loop I-57/MO St Rt 105 north of I-57/U.S. Rt. 60. NB BUSN Loop I-57/EB U.S. Rt. 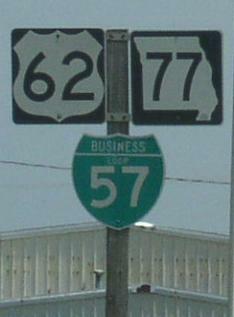 62/SB MO St Rt 77 in Charleston. NB BUSN Loop I-57; EB U.S. Rt. 62; SB MO St Rt 77 on the eastside of Charleston.